Home Nepal/Everest Sunrise time-lapse of the moon setting behind Taboche peak. Categories: Homepage Best of Stock Footage Reel, Best of Stock Footage Reel NAB, Nepal/Everest. Tags: base, blue, camp, cliffs, cold, daylight, dirt, environment, everest, high, hill, himalaya, himalayan, ice, jagged, landscape, lapse, light, moon, morning, mount, mountain, movement, national, nature, nepal, outdoors, Pangboche, park, peak, range, region, ridge, rock, rocky, rugged, sagarmatha, scene, scenery, serene, shadow, sky, slope, snow, snowy, stone, summit, sunrise, taboche, time, time lapse, timelapse, travel, trekking, valley, view, weather, white. Time-lapse of a sunrise with setting moon in the Sagarmatha National Park in the Nepal Himalayas near Pangboche looking North to the Taboche Peak on the Trekking path up to Base Camp Mount Everest. The peaks and cliffs of the mountains are gradually illuminated by the rising sun. Time-lapse of the tip of Everest and surrounding peaks and trekkers on a foreground trail. 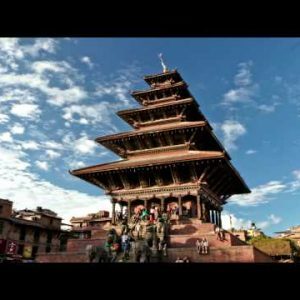 Time-lapse of Nyatapola temple in Bhaktapur, Nepal. 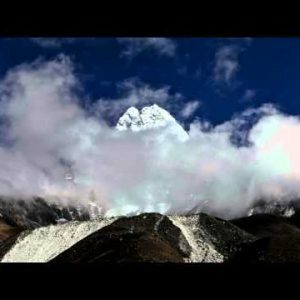 Time-lapse of clouds passing in front of Ama Dablam, a Himalayan peak.